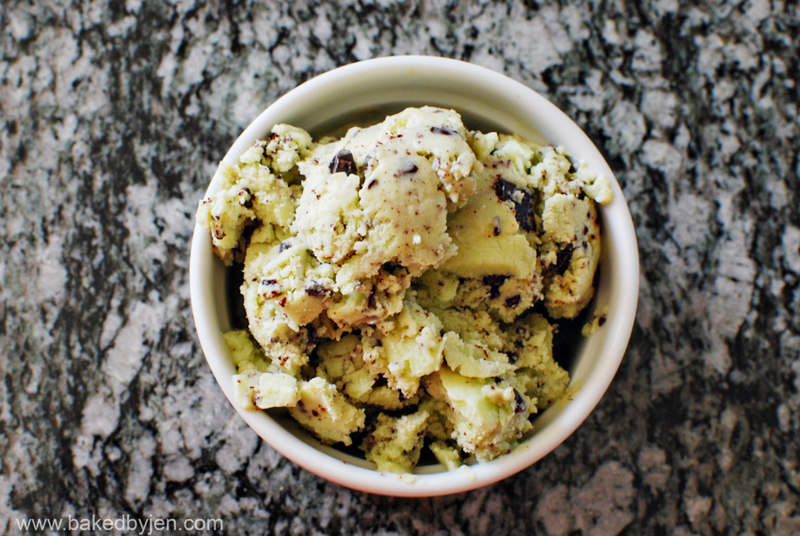 One thing I miss the most while on paleo, is the occasional spoonful of ice cream I would eat when the mood strikes. So, of course, I had to figure out how I would get around not having dairy. I figured all the ingredients in a standard ice cream custard were paleo except for the sugar, milk, and cream. So, I substituted them out with honey, almond milk, and coconut milk. It worked out perfectly and tasted just right but next time, I would use only coconut milk as it might make it creamier. In a medium bowl, pour in the coconut milk and place a strainer over the top of the bowl, set aside. In a separate bowl, beat the egg yolks, set aside. Whisk the almond milk and honey (to taste) in a saucepan over medium heat until honey is dissolved. Stir in the extracts and dye. Gradually pour some of the warm milk mixture into the egg yolks, whisking constantly as you pour. Scrape the egg yolks back into the saucepan. Heat until the custard over low heat until it registers 160 degrees. Stir constantly and do not let it boil. Strain the custard over the strainer and into the coconut milk. Refrigerate until chilled or overnight. Run through your ice cream maker as instructed. 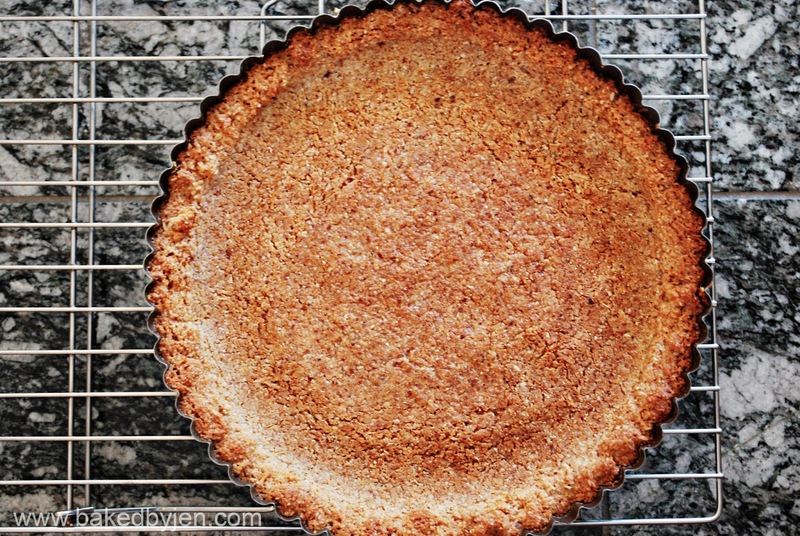 After researching a quick and easy paleo friendly tart for Mother's Day, I became curious on what other paleo desserts I could find out there. 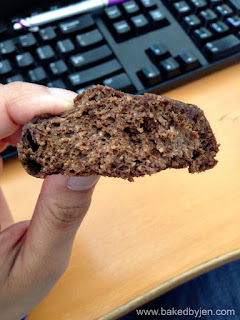 Being on a paleo diet lifestyle doesn't mean you would have to say good bye to baked goods. There are quite a few paleo friendly substitutions - almond meal and shredded coconut can be substituted for flour; bananas and applesauces can be substituted for oils; coconut oil can be substituted for butter; almond milk and coconut milk can be substituted for dairy, and honey and agave can be substituted for sugars. 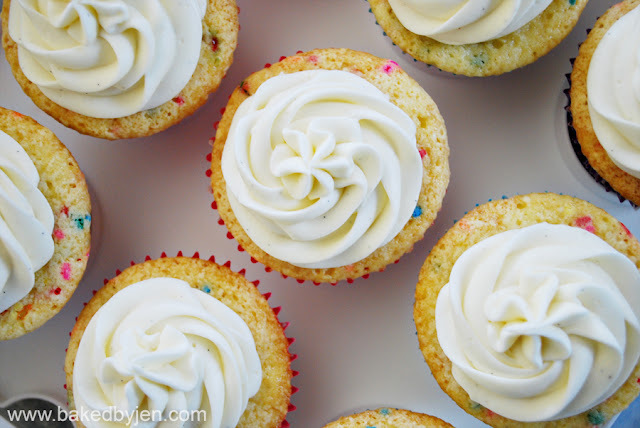 I found this blog, Multiply Delicious, through I Am Baker which features a lot of amazing paleo friendly recipes; including desserts. Because I had all of the required ingredients on hand, this was easy to whip together. It had the perfect cake cookie texture for those missing it. Because it was made mostly of bananas, I found it acceptable to eat for breakfast. Preheat oven to 350F. Line a baking sheet with parchment paper or a nonstick baking mat. Using a food processor, puree the banana. 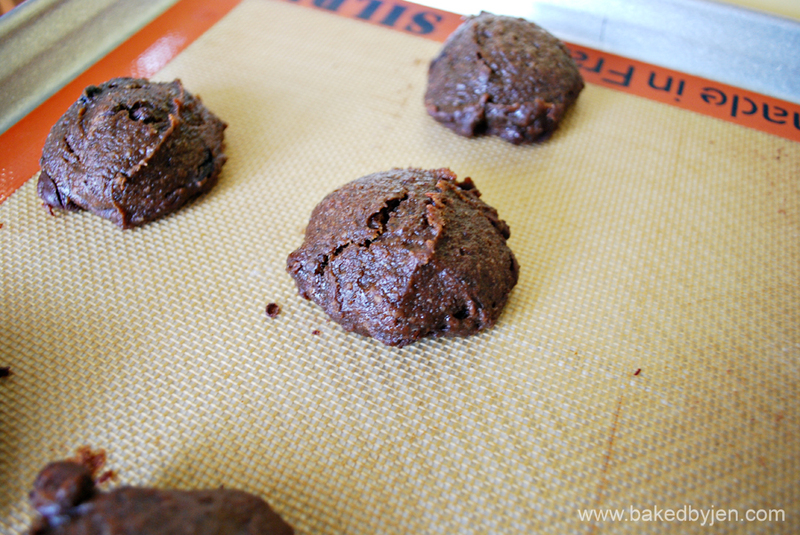 Add almond butter, cocoa powder, vanilla, baking soda, cinnamon, and salt; continue to pulse until well combined. Add the almond flour and continue to pulse until everything is incorporated. Remove the blade and stir in the chocolate chips by hand. 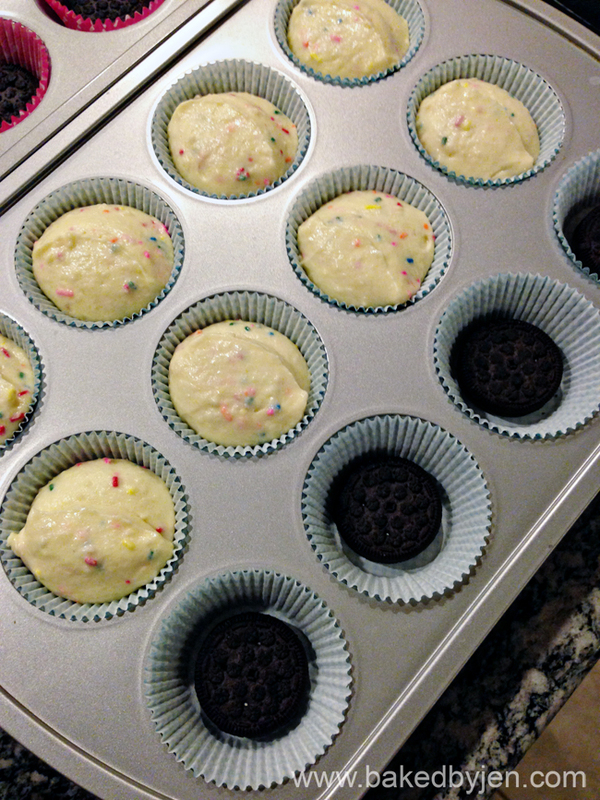 Using a cookie scoop, scoop the batter on to the prepared baking sheet. Bake cookies for 12-15 minutes or until the cookie looks dry. It was Mother's Day weekend and we all know around here that celebrations require dessert. With just a week through my 30-day Paleo challenge, I didn't want to have to restart after a sugar binge; so, after some Internet research, I came across this coconut almond crust which would work perfectly with some fresh fruit piled on top and a dollop of almond milk ice cream. To keep it paleo friendly, I tossed the sliced peaches with nothing more than a few tablespoons of honey and a couple dashes of cinnamon. The crust was absolutely my favorite part of the dessert. I imagine that it would be delicious as a bar cookie as well. In a medium bowl, combine the shredded coconut and almond meal. Melt coconut oil with honey over low heat, whisking well to combine. Stir in extracts and remove from heat. Pour the warm liquid over the dry ingredients; stir together until well combined. Press into a 8″ or 9″ tart pan. Bake for 8-10 minutes or until evenly browned. Cool completely on a wire rack before filling. 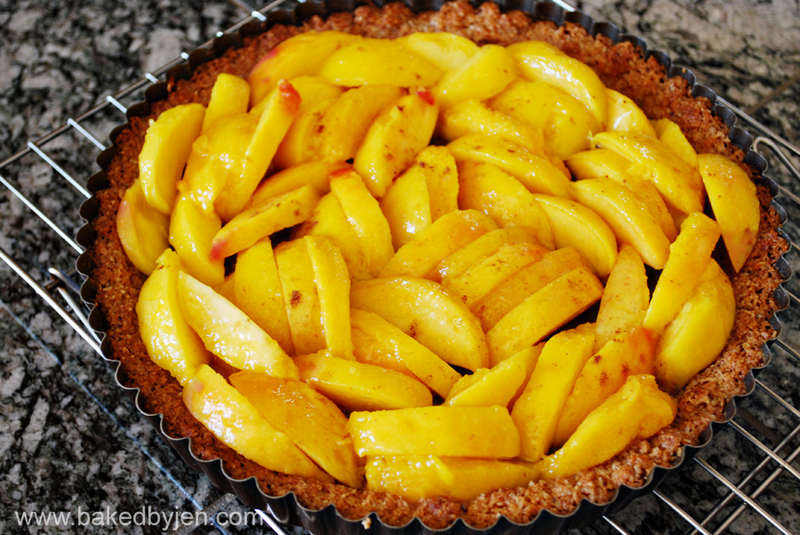 Serve immediately upon filling as fruit juices will make the crust soggy. 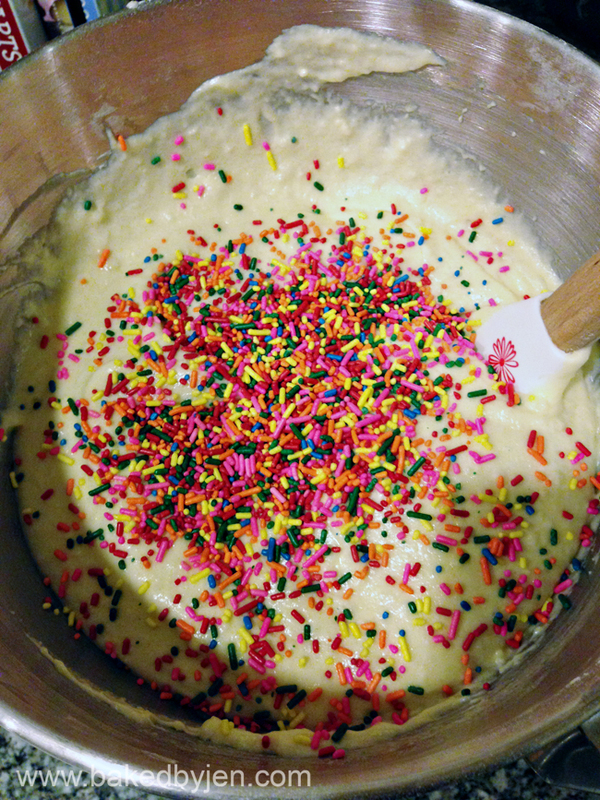 Cakes with sprinkles scream "I'm having a party" to me; so, I decided to surprise a coworker with some funfetti cupcakes for her birthday this past week. 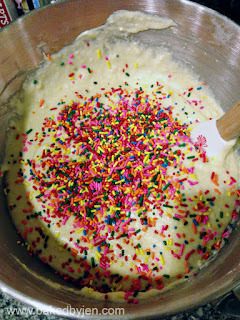 I started out making a standard yellow cake and simply adding every colored sprinkle I owned to the batter. Unfortunately, I forgot to save some of the sprinkles for the frosting; which was vanilla bean buttercream with an entire block of cream cheese added to it. 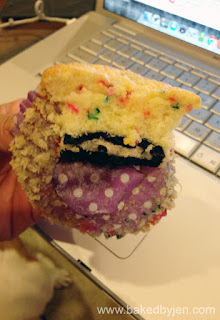 Next time, I would only add half of the block of cream cheese as it no longer tasted like a buttercream frosting but more of a cream cheese frosting to me. Because I can't imagine anyone objecting to Oreos, I added them to the bottom of the cupcakes for a surprise twist. This is just something I have done here and here with get results.